Home	> 8. TESHUVOS HA’RAN. FIRST EDITION, ROME 1545. 8. TESHUVOS HA’RAN. FIRST EDITION, ROME 1545. 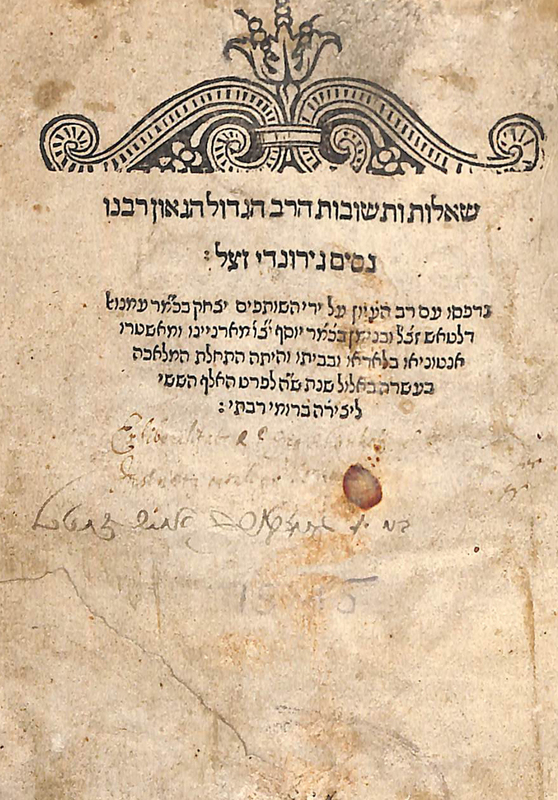 Halachic responsa of R. Nissim ben Reuven-(RaN). R. Nissim (1320–1376) of Girona, Catalonia was one of the most renown of the great Spanish medieval Talmudic scholars. Born in Barcelona, Catalonia, his teacher is not known; his works refer to a R. Perez as “moreinu” (“our teacher”), but it is thought that his father, Reuven ben Nissim, was his primary teacher. 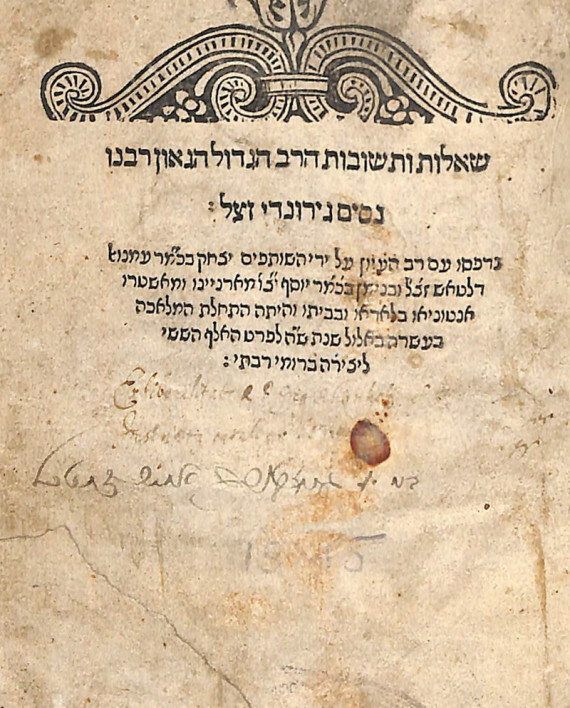 Considered amongst the greatest Halachic authorities of his generation, queries were sent to him from throughout the Jewish diaspora and were ultimately published under the title Shailos U’Teshuvos Ha’Ran. Vinograd Rome 18. Deltash, Baldo, Sarfati press. 173, 33 pages. 18.5 cm. Fair condition, some stains, title page restored with no loss of text. Modern half leather binding.